A list of holiday films to help lift the spirits. (SPOT.ph) November is almost gone and we’ve all been a bit preoccupied, but sometimes nothing can lift your spirits quite like a sappy Christmas movie. 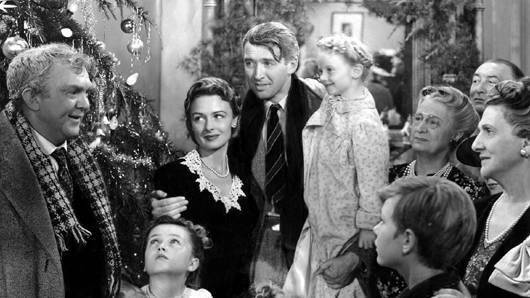 With this in mind, we've compiled our list of the best holiday movies, ranging from the classics to more contemporary ones, which are guaranteed to give you warm, fuzzy feelings. Get your blanket and hot cocoa ready for a Christmas movie marathon! What are your favorite Christmas movies? Let us know in the comments section. After the death of his girlfriend, Gene Ynfante (Piolo Pascual) becomes a cynical hedonist. But his life changes when he stands to inherit his grandmother's fortune, on the condition that he completes all nine simbang gabi (dawn mass)-the Pinoy Christmas tradition. At the church, he meets Elise (Donita Rose), a kind pre-school teacher who is also nursing a broken heart. For the rest of the nine mornings, a budding romance develops between the two. Scott Calvin (Tim Allen), a divorced father, has his son, Charlie (Eric Lloyd), with him for Christmas Eve. That night, they are awakened by a clatter on the roof. Scott sees someone on the roof and calls out to him. The man takes a tumble and vanishes. Scott and Charlie discover a sleigh with eight reindeer on the roof and a Santa suit left behind, and they deduce that the man is Santa Claus. A card in the clothing instructs that if anything should happen to Santa, the one who finds the suit should wear it and get in the sleigh. Persuaded by his son, Scott follows the instructions and ends up delivering the rest of the toys for the night. The reindeer return to the North Pole where the head elf (David Krumholtz) tells Scott that, by wearing the suit, he has accepted the contract of the "Santa Clause" and agrees to assume Santa's identity and responsibilities. Over the next year, a reluctant Scott finds himself transforming into Santa Claus, from his sudden weight gain, white hair, and long beard, to his jolly behavior. Eight-year-old Kevin McCallister (Macaulay Culkin) is tormented by his siblings. After a fight with his big brother Buzz, Kevin is sent to his room. Angry and disappointed, he wishes his whole family would just disappear. The next day, the McCallisters leave for their Christmas vacation in Paris. In their rush to make it to the airport, they mistakenly leave Kevin behind. At first, Kevin is overjoyed with his newfound freedom, but he soon has to contend with the Wet Bandits (Joe Pesci and Daniel Stern), burglars who have been targeting the empty houses in the area. With his wits and resourcefulness, Kevin is able to rig the house with booby traps and outsmart the Wet Bandits. But how long can he survive on his own? As Santa Claus (Ed Asner) makes his rounds, a baby in an orphanage crawls inside the sack of toys and accidentally hitches a ride to the North Pole. The baby is raised by Papa Elf (Bob Newhart) and grows up believing he is an elf. Soon enough, it becomes apparent that Buddy (Will Ferrell), the six-foot-tall elf, is actually human. Buddy learns of his true identity and he sets off to New York to find his biological father, Walter Hobbs (James Caan). When Buddy introduces himself, Walter is not exactly thrilled to discover that the seemingly delusional man wearing the green tunic and yellow stretch tights is his son. But like a true elf, Buddy is able to make his father-and the rest of the cynics-believe in the magic of Christmas. This is that unique film that is both a Halloween and a Christmas classic. Tim Burton's style pervades this stop-motion-animated musical, which features singing and dancing skeletons. The film presents a fantasy world called Halloween Town, which is filled with monsters, ghouls, vampires, werewolves and witches. The town's leader is Jack Skellington, "The Pumpkin King," who is tasked with organizing the annual Halloween holiday. But Jack has grown tired of the same routine. While wandering in the forest, he accidentally opens a portal to Christmas Town. Inspired by his visit to Christmas Town, Jack decides to do his own Christmas celebration. 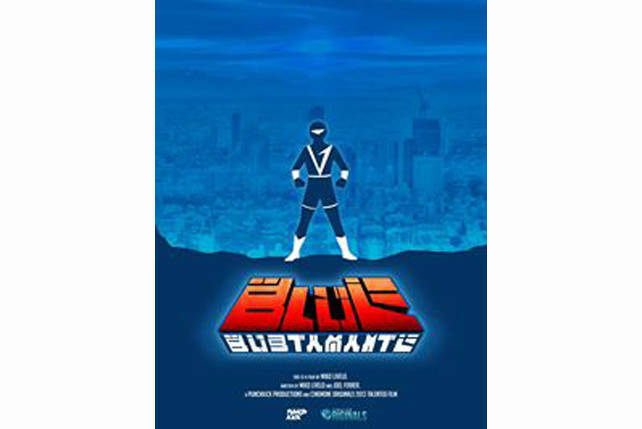 He has Santa Claus kidnapped, and he tries to play the role of Santa, with disastrous results. Frank Cross (Bill Murray) is a wealthy, cold-hearted television executive who forces his staff to work through Christmas Eve to mount a live production of A Christmas Carol. Like Ebeneezer Scrooge, Frank's career obsession has cost him the love of his life, alienates him from his brother, and makes his assistant's life miserable. During the broadcast, strange things occur, which parallel Charles Dickens' tale. Frank is visited by the Ghosts of Christmas Past, Present, and Future-they take the form of a New York cab driver (David Johansen), a sugar plum fairy (a memorable Carol Kane), and a caped, headless ghoul. The ghosts try to teach Frank a lesson before it's too late. This Christmas-themed romantic comedy features an ensemble cast of mostly British actors, including Hugh Grant, Liam Neeson, Alan Rickman, Emma Thompson, Colin Firth, Laura Linney, Keira Knightley, and Bill Nighy. Multiple stories delving into different aspects of love are intertwined in the film, which begins five weeks before Christmas in a weekly countdown until the holiday. Different relationships are delightfully (sometimes poignantly) explored, such as that of an old married couple, a father and his stepson, office co-workers, friends caught in a love triangle, an aging rockstar and his manager, and even the British Prime Minister and his aide. Love Actually takes nine love stories and wraps it up neatly with a bow. It shows us that love is actually all around. George Bailey (Jimmy Stewart) dreams of leaving behind the small town of Bedford Falls and moving to the city. But fate binds him to his hometown, where he helps poor folks by allowing them to make housing loans. Unfortunately, the rich and greedy Mr. Potter (Lionel Barrymore) has taken control of the town. And when George's absent-minded uncle misplaces some bank funds, it looks like the evil Potter will have his way. On the brink of financial ruin and possibly facing prison, a desperate George wishes he had never been born. As George is standing on the bridge, contemplating suicide, a novice guardian angel named Clarence (Henry Travers) intervenes and shows George how his family and friends' lives would have been different without him. In the end, George sees that he has a wonderful life after all. 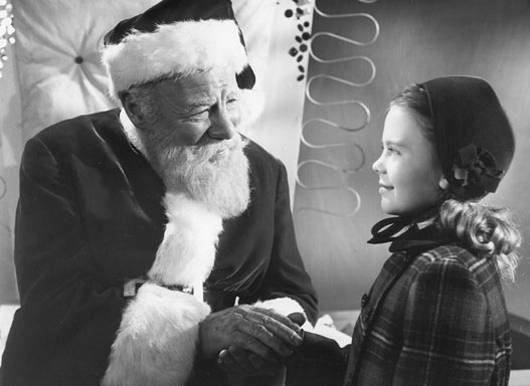 Kris Kringle (Edmund Gwenn), a bearded old gent who looks like Santa Claus, steps in as a last-minute replacement for the drunken Santa who was supposed to lead the Macy’s Thanksgiving Parade. Kringle gets offered the job of being the Macy’s toy department Santa. However, Kringle genuinely believes he is Saint Nick. Macy’s nasty in-house psychologist arranges to have him locked up in an asylum. A young lawyer (John Payne) kindly agrees to defend him in court and to argue that he is the real deal. So is Kris Kringle really Santa Claus? Watch the movie to find out. This animated television special is based on Dr. Seuss' children's book. The Grinch (voiced by Boris Karloff) lives in a cave, located above Whoville, with his loyal dog, Max. A surly character with a heart "two sizes too small," the Grinch especially hates Christmas. As the Whos happily prepare for the holiday, the Grinch hatches a plan to steal Christmas. Disguising himself as a scruffy Santa Claus, with Max dragging his sleigh as a "reindeer," the Grinch sneaks into the Whos’ homes and steals their food, decorations, and presents. The Grinch expects to ruin Christmas Day for the Whos, but the next morning, they gather at the town square and joyously sing Christmas carols. 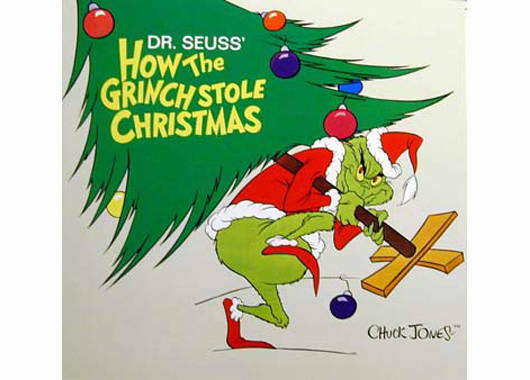 Realizing that the spirit of Christmas does not depend on material things, the Grinch has a change of heart. He gives everything back and joins them in celebrating the holiday.